‘Tis the season for all things festive and I’m seriously excited. With so much planned for the weeks ahead – and an ever-growing to-do list – I’ve been making sure to set aside time to just relax. As much as I enjoy being busy, I honestly relish when I can just curl up on the couch in my jammies, switch off my phone and watch a feel-good film. Of course, no girly night in is complete without some treats, especially at this time of year when chocolate is a necessary part of your daily diet (hello, advent calendar) so sipping on a hot chocolate during a Christmas movie marathon is an obvious choice. This is where RumChata came in to help me step up my hot chocolate game. With Miracle on 34th Street set up and waiting on Netflix, I was ready to indulge in the hot chocolate of dreams, complete with RumChata rum (well, it is the party season, after all). This was no powdered chocolate mix, however. 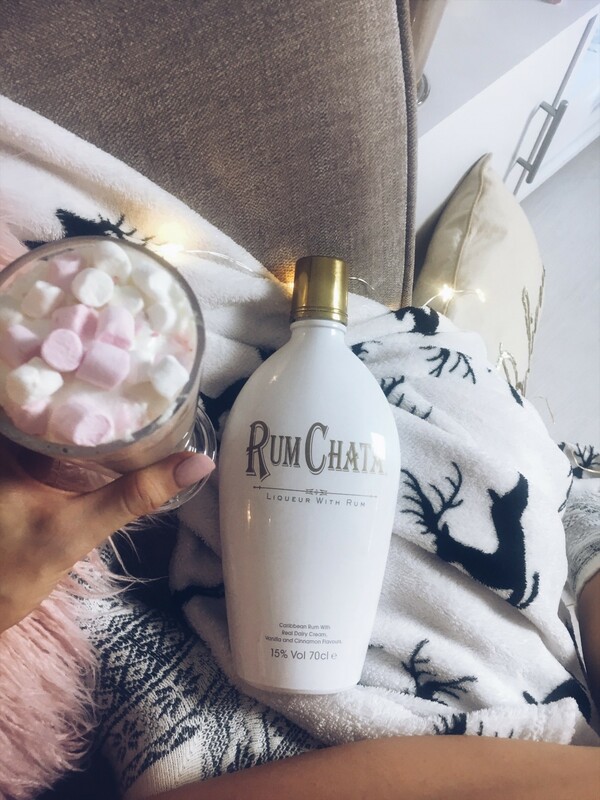 Oh no, the RumChata way is to melt luxury chocolate buttons into the hot milk, add the compulsory whipped cream and marshmallows and – as a special Christmas treat – add x2 25ml shots of their delicious rum and finish with sprinkles. All I can say is, if you’ve not been adding rum to your hot chocolate, you’re doing it wrong. If, like me, you really want to join in the whole festive-drinks-at-the-Christmas-market-thing, but can’t bear to pretend to enjoy mulled wine anymore (seriously, I’ve tried so hard to like it), you’ll be happy to hear that RumChata will be having their very own pop-up bar at Edinburgh’s Christmas this year. Hello rum hot chocolate, my new friend. 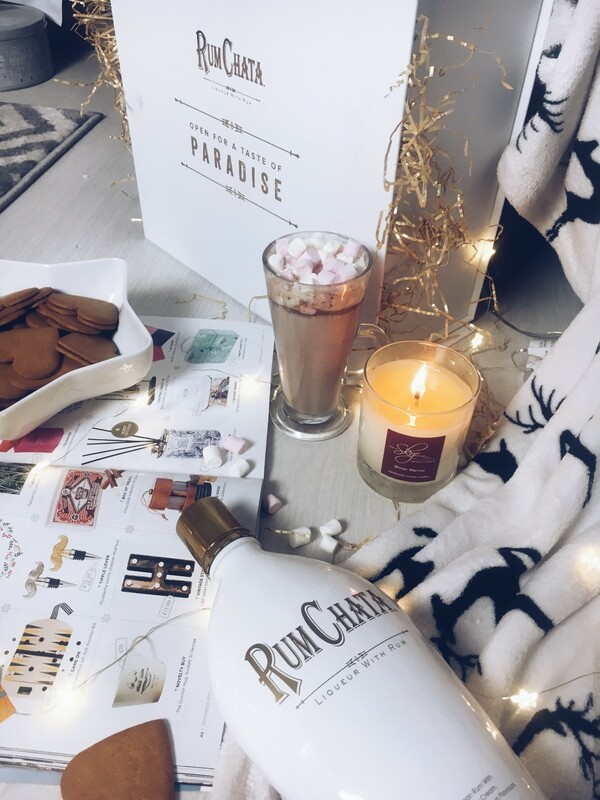 To celebrate this RumChata and chocolate match made in festive heaven, I’m giving away x2 tickets to Edinburgh’s Christmas and x2 complementary RumChata hot chocolates at their pop-up bar inside. To enter, head to my Instagram post @tenderlovingstyle and tag who you would take with you, then make sure you’re both following @rumchataofficial. See you at Edinburgh’s Christmas! Giveaway runs from 8th December 2017 and closes at 11:59 on 11th December 2017. Winner will be announced at 8 pm on 12th December 2017. • Competition only open to participants ages 18 or over. • Competition winners will be chosen by myself. • Competition winners will be contacted by myself within 2 working days after the competition has ended. • Winner’s name and contact details including full name, email address and contact telephone number will be taken from me and passed onto the promoter for the issuance of tickets. • Tickets and voucher valid from 17 Nov – 24 Dec 2017 and must be redeemed during this timeframe. • This promotion has been issued by Whyte & Mackay. • There are no costs associated with entering this competition. • Please note travel to and from Edinburgh’s Christmas is NOT included.